I don’t like confrontation. Don’t like stepping on toes. I don’t complain when I get bad service, and even in the anonymity of the internet, I don’t leave negative reviews online. My grandmother always said: if you can’t say something nice, don’t say anything at all. Trouble is, my grandmother wasn’t a researcher. Here in the world of knowledge-production, we sometimes need to say the not-nice things. We need to test, challenge, and evaluate each other’s ideas (as well as our own). That means giving praise where praise is due, but also expressing our queries, our quibbles, our sometimes our condemnation. That, in short, is what it means to ‘critique’ someone’s work. However, there’s a little part of me that still cringes inwardly every time I’m asked to do that. The word ‘critique’ sounds too much like ‘criticise.’ That connotation of judgement lingers in the word. The association is even clearer in the phrase ‘critical analysis’. Critical. The dictionary in my head comes up with one meaning for that: negative. 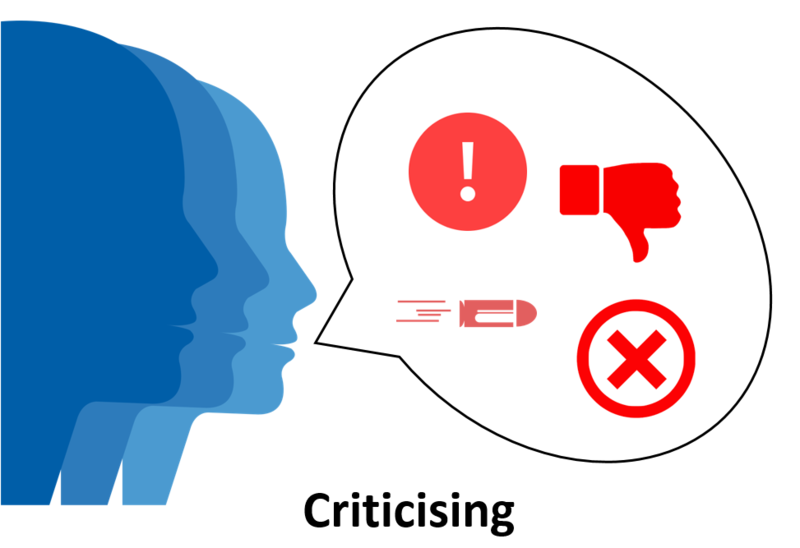 Here’s the deal though: in an academic context, words like ‘critique’ or ‘critical’ have little-to-nothing to do with ‘criticising’ in the everyday sense of the word. You can effectively critique a piece of writing even if you love it and think it’s the best thing ever committed to paper. You can also critique something that you don’t love without being mean or unprofessional. 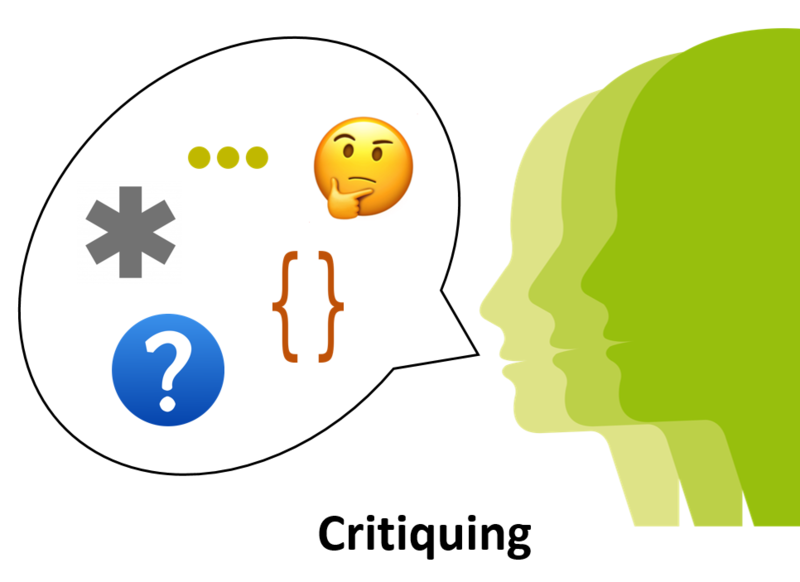 It can be helpful to think of critiquing as an act of responding to or evaluating someone’s work. It’s a way of arranging and formalising the types of comments you might scrawl in the margins as you read. Your response could have moments of positive or negative tone; but it may also be questioning, or cautious, or optimistic, or elaborative. It all depends on your opinion of the work you’re critiquing. But most importantly, your response will be reasoned. Write what you think, but explain why you think it. If you’ve been asked to critique a piece of writing or research, but you’re not sure where to begin, here are some ideas. What is your response to the methodology? Is it appropriate to the research overall? Did the authors exclude a group of participants that you think should have been included, or vice versa? Does the methodology allow the results to be applied in the way they have been, or could be? Have the authors drawn from the most relevant sources? Could you recommend other sources that may strengthen the foundation of their work or extend its application? Can you identify any potential interdisciplinary connections? Sometimes you may see value in the data in a paper, but disagree with the way the authors interpret that data. Your critique could focus on the interpretation, or even offer a new interpretation. Can the interpretation go further or deeper? Have the authors made any arguments that are particularly strong or particularly specious? Do you see any alternative or additional arguments that they might have made? Is the logic behind the arguments sound? Is the argument built on any biases or assumptions that may affect its validity? These are some starting points. However, you can craft your personal style of critique to draw on your strengths. If you are particularly strong as a methodologist, or an experimentalist, or you have a particularly good grasp of theory, you can apply those strengths to your critiques. This will allow other scholars to benefit from your expertise. Honing these skills has a few great benefits for your own career as well. It’s great practice if you want an academic career, because that will almost inevitably require you to act as a reviewer for articles submitted to journals. It’s also a great way to predict how others might critique your own work. If you can self-critique as you work, then you can identify and pre-empt the queries or concerns that others might raise. And for a masters or doctoral scholar facing eventual examination, that’s a lifesaver. I would like to give my thoughts on this topic, since it is reoccurring constantly in AUT, and the academia in general. Let us also remind ourselves of the fact that throughout the eighteenth century, which Kant, in Critique of Pure Reason, labeled “in especial degree, the age of criticism” and to which our use of “critique”, today remains largely indebted, critique was above all critique of prejudice and established authority, and hence was intimately tied to a conception of the human being as capable of self-thinking, hence authonomous, and free from religious and political authorities. Finally, I will leave this as a visual interpretation, in comparison to the one left in the original blog post.